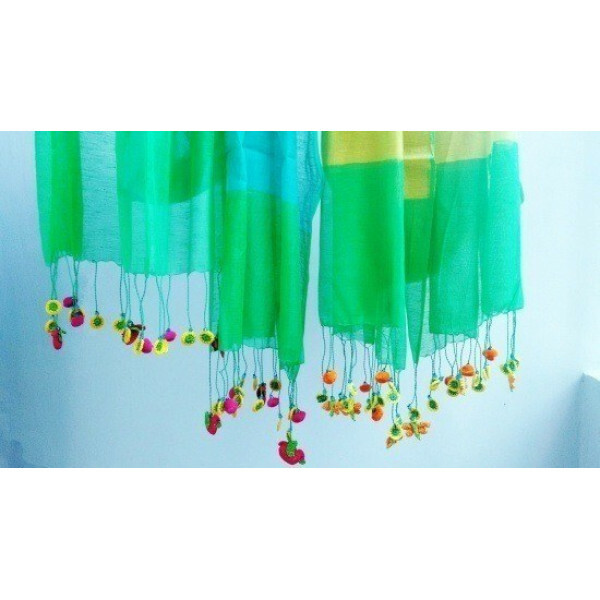 The Rajasthani handcrafts brings this handmade silk and cotton stole , finished in bright green and yellow color. Soft and small tassels of different motifs like sunflowers and birds are attached at both the ends of the stole. 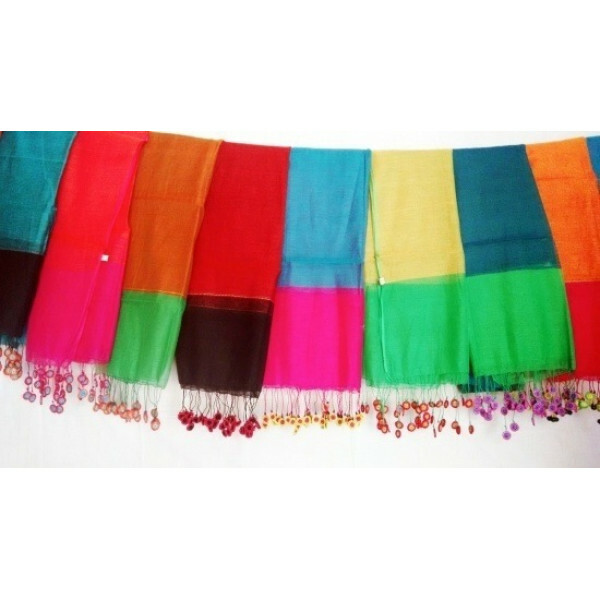 The color pattern of stole and the beautiful tassels hanging from the stole , makes it a perfect clothing to be a part of your sumer wardrobe.